Starting a business is a great way to build wealth over time, but to get the best return on your investment, you’ve got to keep spending lean. Every dollar that gets wasted in your business reduces any profits you earn or can share with your team. 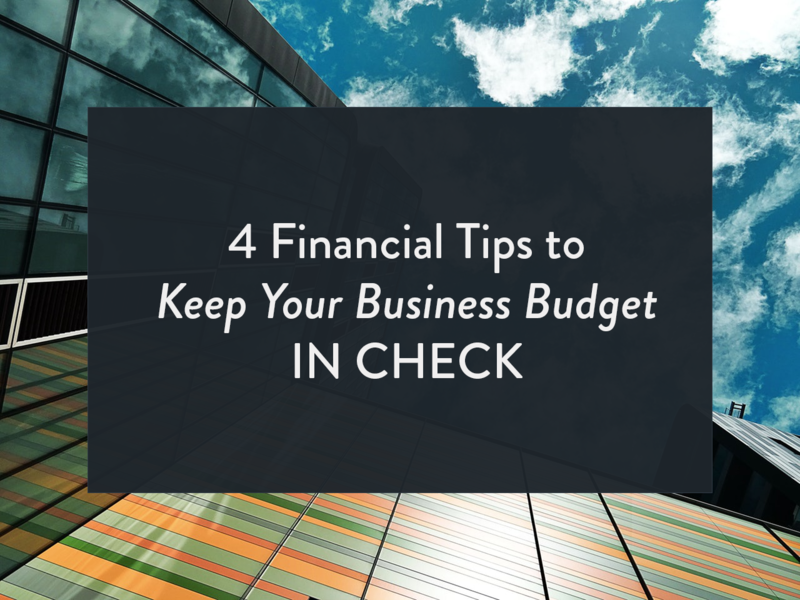 Fortunately, there are many ways to keep your budget in check. Here are some frugal financial tips you can put to work for you today. The biggest cost for most businesses is payroll. Not only do you have to pay your employees’ salary but also any payroll taxes and benefits. Before you hire team members for full-time, W-2 positions, make sure you can keep them fully occupied. It could be that you are better off bringing in employees from a temp agency during a busy period, like just before the December holidays, than adding permanent team members who will have little to do come January. If you need professional services help in an area such as public relations or accounting, try working with an outside provider before you add a permanent member of your team in these areas. Unless you need this help constantly, it will usually be more cost-effective to outsource. Opt for the minimum-viable office space. Having great office space is nice, but if you’re paying a bundle for it, it can limit the money you have left over to invest in new opportunities. Most business owners are better off opting for decent, but not fancy digs for their business and sprucing it up with inexpensive amenities that fit the vibe of your company, whether that means banker’s lamps or bean bag chairs. One way to keep office space costs down is to consider giving employees the chance to work from home several days a week. Not every team member will be self-directed enough to work productively this way, but many people now have experience in doing so successfully. If you set clear goals as to what employees are expected to accomplish and keep in touch frequently, there’s no reason your work-from-home team cannot accomplish just as much as your in-office workers. Many employees don’t understand how the different pieces of a business fit together. Helping them to see beyond their individual roles to understand how their daily decisions impact the bottom line can inspire them to help you find new business and cut waste. For best results, make sure they share in the benefits of being frugal. Create a profit-sharing plan where they can see exactly how much it helps them if they aid you in keeping revenues up and costs down. You don’t have to share every aspect of your financial decisions—like how much you pay individual team members—to practice open-book management. Entrepreneur Jack Stack’s classic book The Great Game of Business is a helpful guide to how to pull it off. If you achieve high profitability in your business, one challenge you will face is a potentially large tax bill. While we all want to contribute our fair share, paying more than necessary to the government will not leave much extra to reinvest in your business. That’s especially true in states where taxes are on the higher end of the spectrum. One of the best investments you can make in running a lean business is finding a great accountant—someone who will help you spot tax deductions you can take that you might not know about and help you do tax planning throughout the year. There are many positive investments you can make in your business—such as setting up a 401(k) plan—that can help you and your employees and also reduce your tax bill. Ask around among colleagues in your industry for a referral to an accountant who has been helpful to them. Also look for automated ways to keep track of deductions. Low-cost apps such as Everlance, which tracks your auto mileage from your smartphone, for instance, can help you keep better records of driving that you might not have thought to write down in your log, like trips to the bank to make a deposit for your business are a quick run to the office supply store to stock up on paper. As the saying goes, it’s not what you make—it’s what you keep—so make sure you do all you can to reap the rewards of your hard work and share it with your team.